What is Re-Vinyl? Re-Vinyl is “re-inventing the album” by bringing all the features you love about vinyl albums-lyrics, liner notes, tracks, music videos, interviews, artist bios, album art and photos to your iPad. “Digital downloads come to us like Chinese food; we gobble it up no matter the quality and it’s a problem for consumers and for the music industry,” says CEO Michael Morgan. Re-Vinyl is a mobile platform for artists to distribute their music and sell their brand in a whole new way through apps. The development team has created an advanced e-reader for music. You’ll see the cover art, lyrics, liner notes, even the artist’s personal messages, and direct access to the artist’s Facebook page. From there you can enter into an advanced advertising experience, either going directly to the site of the retailer who’s sponsoring the artist or purchase items the artist personally suggests. The Los Angeles based startup allows you to export the artist’s vinyl logo out to your social networks so everyone knows you’ve bought the product and love the product. 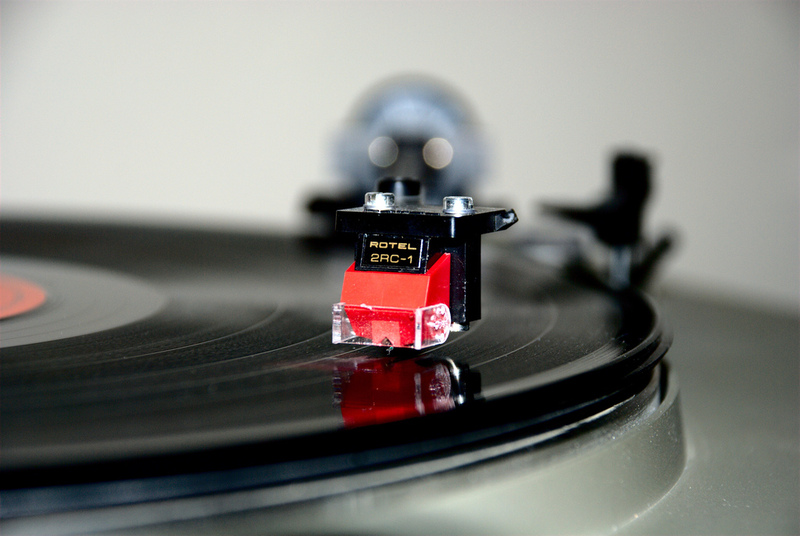 Re-Vinyl plans on partnering with Turntable.fm in the coming months. The team says it wants to shake up the entire music industry. “Why not have venture capital directly sponsoring aritsts? Why not mobile carriers too?” says Morgan. To monetize, Re-Vinyl will sell the vinyls and subscriptions to get push notifications of new albums as well as provide a full analytics on the backend for music publishers and artists, becoming Google for the music buying experience. Meet the other 14 startups at DreamIt Ventures’ first Demo Day in NYC here.